Worbla is going to be a bit expensive no matter where you buy it from, unfortunately! It's very high in demand and everyone loves it so its price is not likely to drop any time soon. 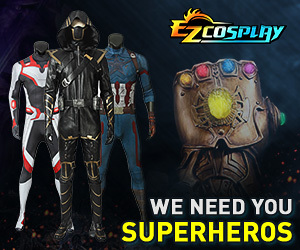 I typically just buy mine from cosplaysupplies.com and you can always try to see if there is a sale going on for one reason or another before you buy to try and save some money. Where I live, there are not any in-person stores I can go to and buy Worbla but I cannot imagine that it would much cheaper than what I find online, especially depending on what size sheet I buy. Though, the thing with Worbla is that it is very worth the money since you can reuse it on so many things and you can use every scrap of material! If you're lucky enough to have a local TAP Plastics store they may carry it in-store, mine does. At least then you could get to see it in-person before buying and save on shipping. But yes it's very expensive (main reason I haven't dived into using it yet), and other than occasional sales you're unlikely to find it significantly cheaper at one store vs. another. - Trustworthy shops, that sell it for the standart price. - Shops that ask for a lot more than that standart price, hopeing that you are inexperianced and don't know any better. There is no 'cheap' when it comes to Worbla.